Glenister Austin was the son of John William Austin and Janie McQueen of Pope Street, Hamilton and was born in 1897 at Hamilton where John Austin worked as a carpenter. In September 1914, Glenister’s older brother William enlisted and on 27 October his uncle George McQueen also enlisted. It was only three months later, on 29 January 1915 when Glenister applied to enlist, aged eighteen and only five foot, three inches however he was rejected. He returned on 1 April 1916 and was successful. 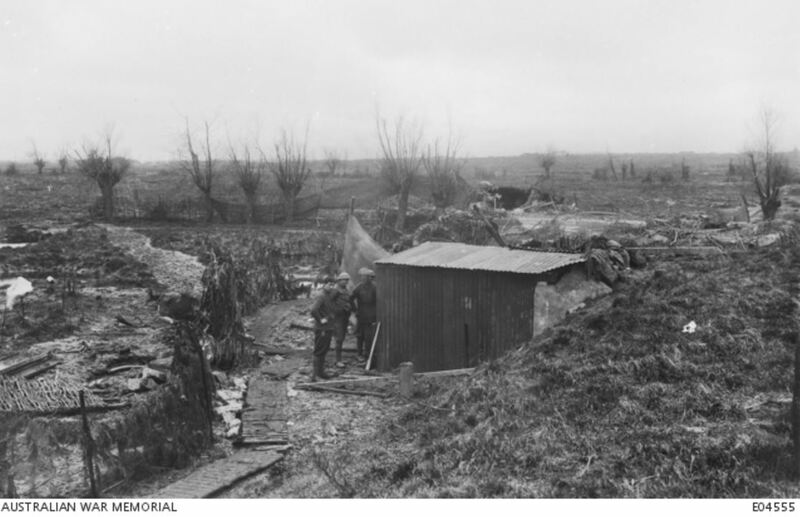 He embarked with the 23rd Battalion, 12th Reinforcement on 4 April 1916. Once in France during July 1916, Glenister transferred to the 14th Battalion B Company. He was in hospital from 10 November 1916 until mid-July 1917 with a hernia and spent time in Guildford, England. While Glenister was in hospital, his uncle George McQueen was killed in France during March 1917. Glenister returned to his battalion in Belgium during July 1917. On 8 February 1918, he was gassed at Wytschaete, Belgium and taken to hospital by the 13th Field Ambulance and discharged a week later. On 4 July 1918, he received a shrapnel wound to the thigh. Glenister was in hospital both in France and England for most of the next eight months recovering from his wounds and then illness. His brother William was also in hospital in England and died during October 1918. Glenister was discharged in March 1919. He then took on duties at the hospital. On 29 September 1919, at a registry office in Paddington, London, Glenister married Ruth Riddell, daughter of a gamekeeper from Hampstead Garden. Glenister and Ruth left England on 20 December 1919 and arrived back in Melbourne on 6 February 1920. While they were at sea, Gertrude Austin, Glenister’s sister was writing to the Defence Department to see if they knew of his whereabouts. Glenister was discharged 2 May 1920. On their return, Glenister and Ruth settled in Yarraville and later Footscray and Glenister worked on the railways. He died in 1987.